Hey everyone, Welcome back. 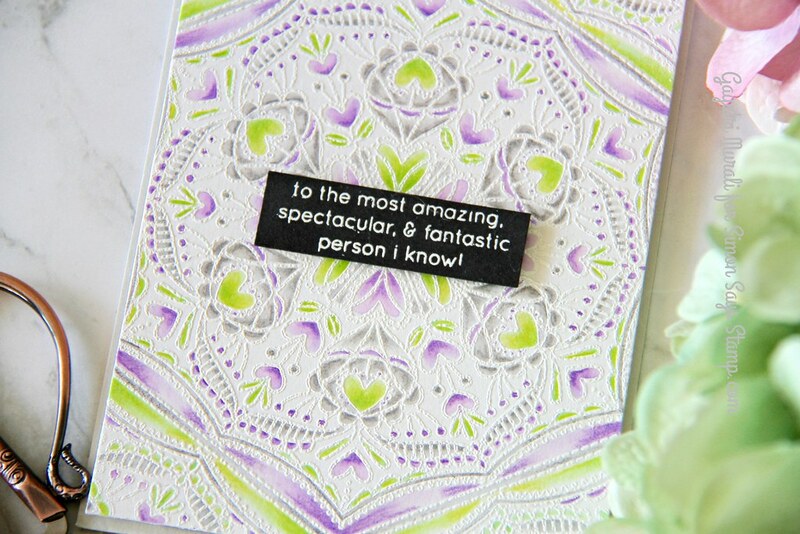 I have another card share today using Simon Says Stamp Cora Background stamp from the Mothers Fathers and Florals release. Here is the Cora background stamp set for you. This time I white heat embossed the background image on Bristol cardstock and watercoloured using the Zig clean colour brush pens. 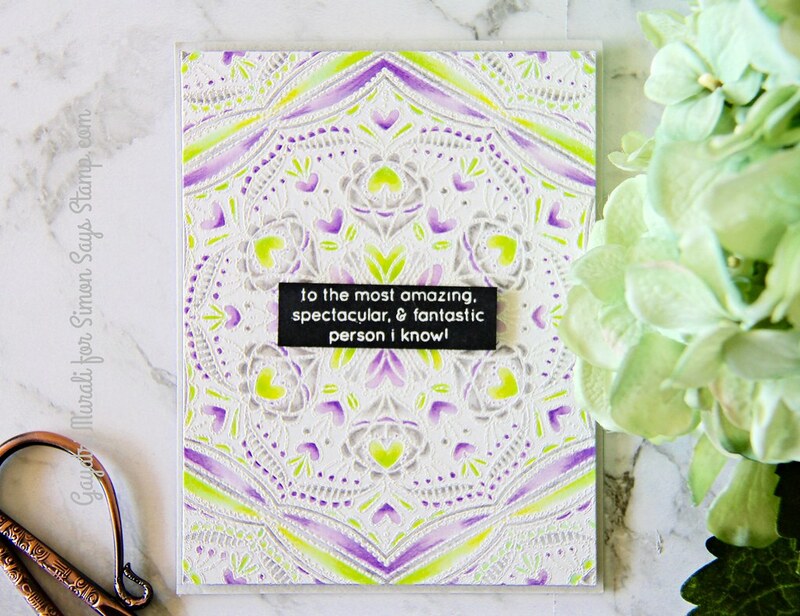 I used only three colours – Tint Gray, Lilac and Green Zig pens to colour the image. I did not do the background but only the details. Then I used Prisma Color pencils to add shading. I then trimmed the panel to slightly smaller to card front size and adhered on Fog card base. Love the fog colour border to the coloured panel. The sentiment is from an older birthday stamp set from Simon Says Stamp called Birthday Messages. 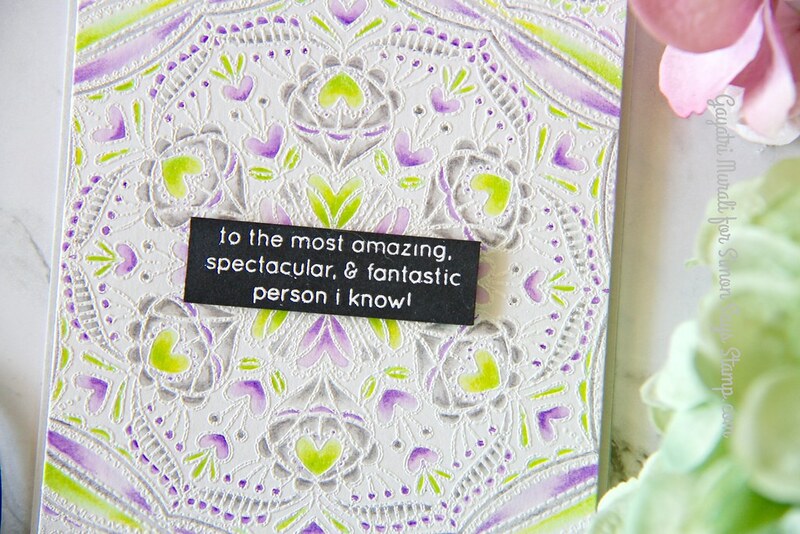 The sentiment is white heat embossed on a strip of black cardstock. Thats it. I let the background shine on this card. So no other embellishments. All supplies used to make this card is listed below.